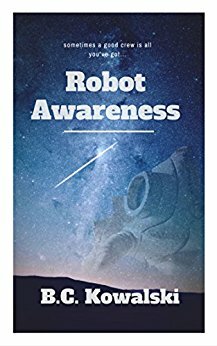 Robot Awareness Part I ebook is free today on Kindle! Just a little note to let you all know Robot Awareness: Part I is free today! It’s one of the last days I could make it free this period, so I didn’t do a lot of promo for it. But if you haven’t downloaded it, I recommend you check it out! If you like it, Parts II and III are also available for $0.99 apiece. Part IV (and V for that matter) is written, and I plan to release it a little later this year.